We had roasted garlic as an appetizer when we went out to dinner a few months ago and the experience was so delightful and flavorful that it stuck with me after all that time. I have been meaning to recreate it ever since! 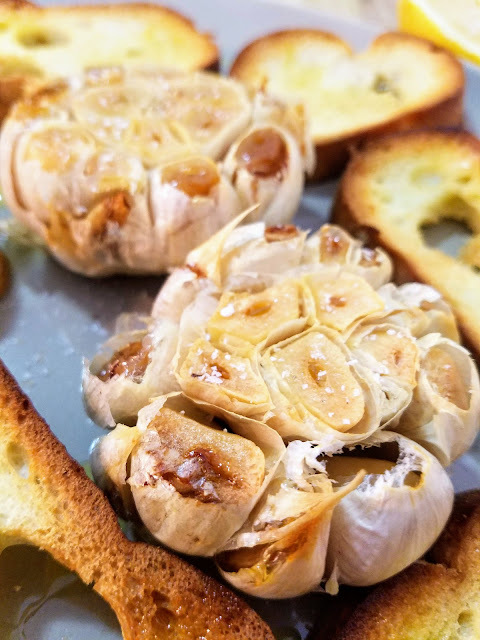 I couldn't believe how mellow the garlic flavor became and how soft and spreadable the cloves were after being roasted. 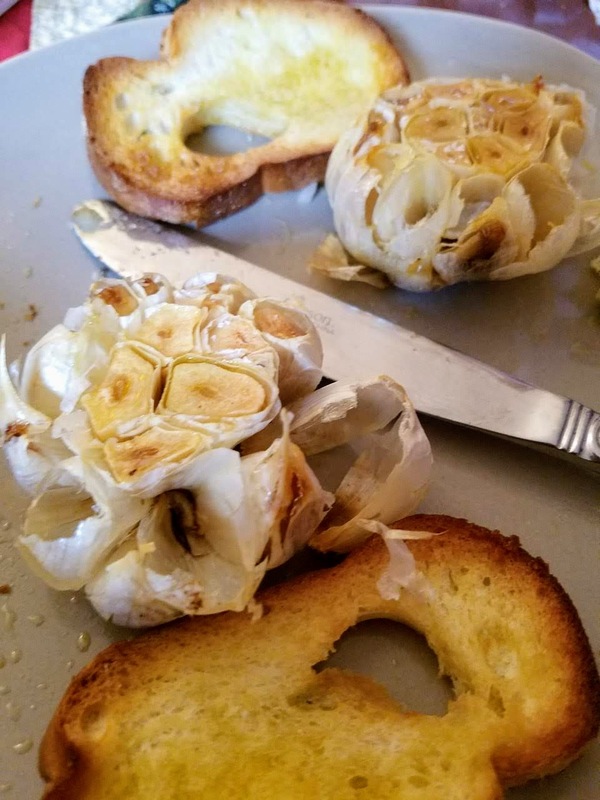 It was garlic like I had never tasted before. I found heads of garlic large enough to embark on this endeavor at Trader Joe's. The heads I normally buy are a bit too small and wimpy to be the star of the show like this. 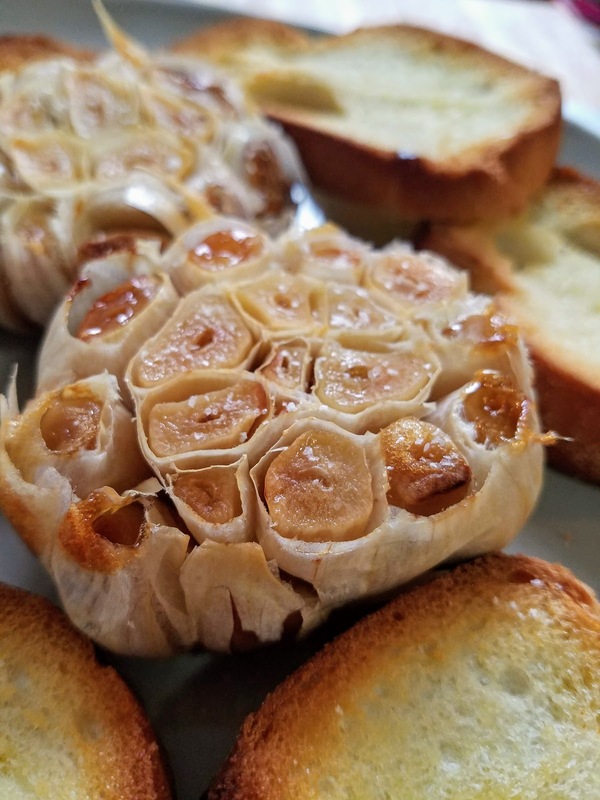 Finding big heads of garlic was the hardest part of this entire process, I couldn't help but think, why haven't I been eating this my whole life? It couldn't be simpler. 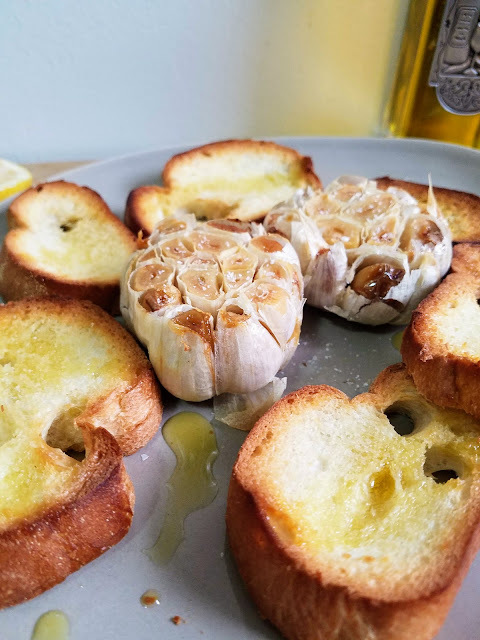 Anyway, I've discovered it now and I vow to always serve it as an appetizer if we have people over because it's so easy and simple, and who doesn't love garlic? Preheat the oven to 400 degrees. 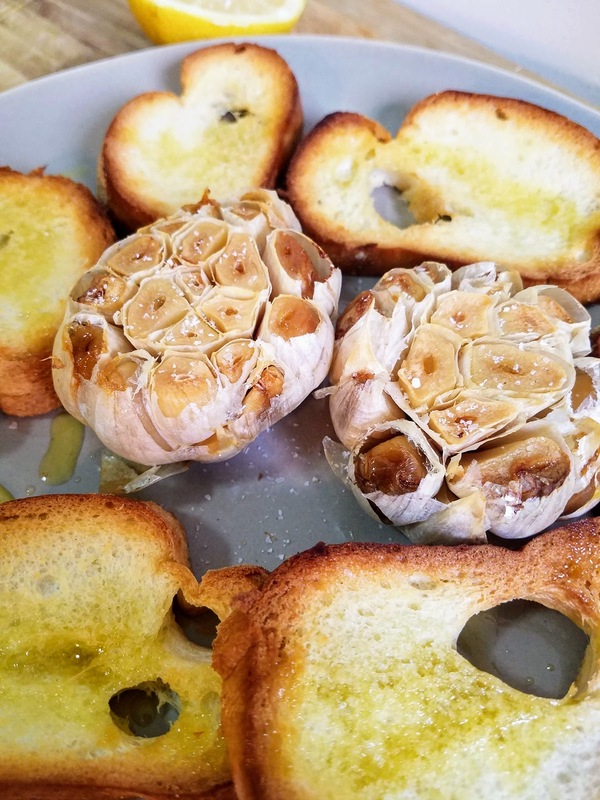 Slice off the top each head of garlic to expose some of the cloves inside. Place the heads on a piece of foil. Drizzle with olive oil and wrap in the foil. Roast until cloves are lightly browned and tender, about 50 minutes. Meanwhile, prepare toasted slices of baguette to serve with it. 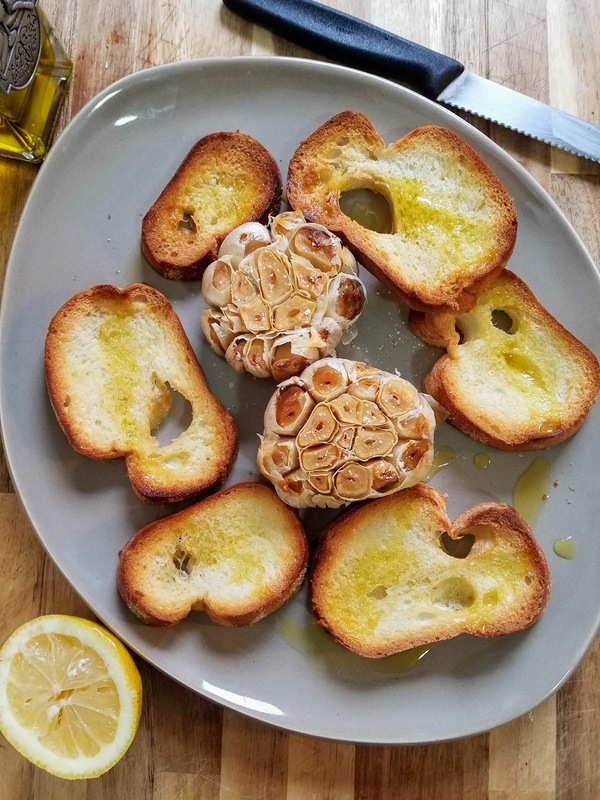 When the garlic is finished, drizzle with more olive oil and sprinkle with salt to serve.